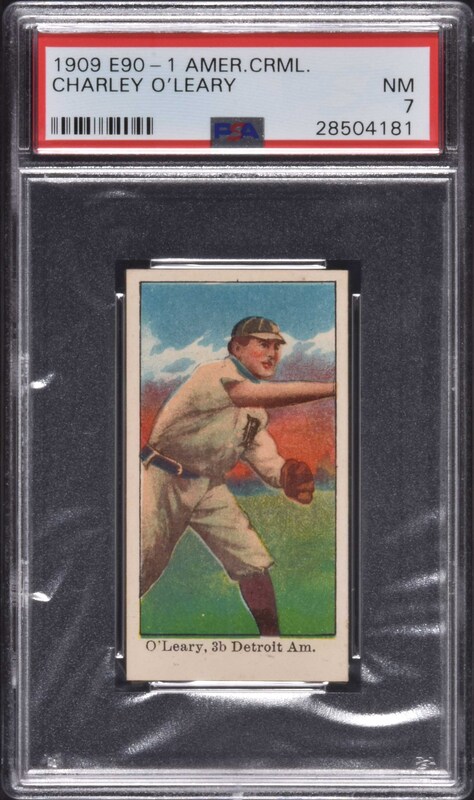 Lot # 161: 1909-1911 E90-1 American Caramel Charley O'Leary PSA NM 7 - 1 of 1 - Highest Graded! Graded NM 7 by PSA. This is the ONLY example graded at this level with none higher! This is an ideal high-grade sample card of Detroit Tigers infielder Charley O'Leary from the highly desirable E90-1 American Caramel series. This is a beautiful card! Bright and crisp, both front and back, with four sharp corners, a perfect image set against a vibrant colored background, no caramel stains, and outstanding centering. The back is also bright and clean, with bold text centered toward the extreme top. 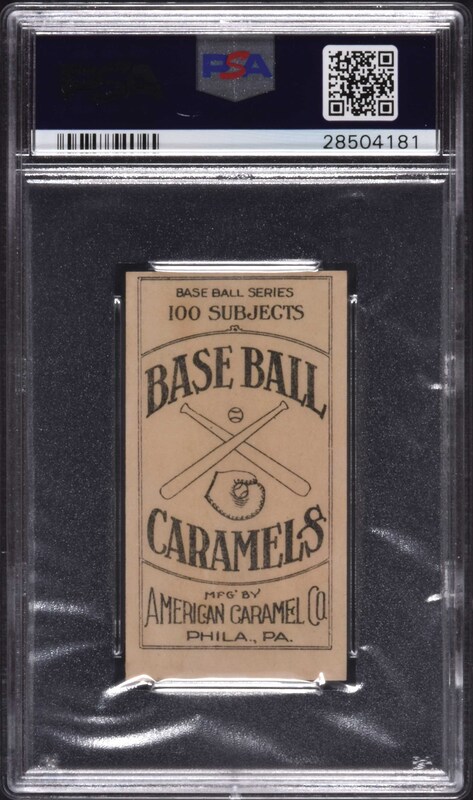 Caramel cards, of course, are rarely found in high grade. This example is in in remarkable high-grade for any E90-1 American Caramel card. This is a spectacular PSA NM 7 example from the most popular caramel-card set of the era. Reserve $300. Estimate (open).